THE Deputy Minister of Education was awarded the 2008 Southeast Asian (SEA) Write Award for his fourth anthology of poems entitled, "Rinduku" (My Yearning). Pg Dato Seri Setia Dr Hj Mohammad Pg Hj Abdul Rahman is this year's Brunei recipient of the prestigious award given to regional writers by the Kingdom of Thailand. The deputy minister received the award at a ceremony witnessed by senior officers of the Language and Literature Bureau, close friends and his family at his residence in Kg Jangsak. LOCAL writers and poets can play an important role in realising His Majesty's aspiration of making Brunei Darussalam a zikir nation in constant appraisal of Allah (SWT) as mentioned in His Majesty's titah on the eve of Hari Raya Aidil Adha 2007.This was said by Pg Bahrom Pg Hj Bahar, deputy permanent secretaryat the Ministry of Culture, Youth and Sports during the prize presentation for creative Bahana Magazine competition yesterday at Balai Sarmayuda of the Language and Literature Bureau. 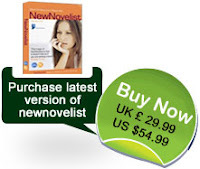 "You Too Can Write a BRILLIANT Novel in Just 30 Days - or Less!" In this brand new and original system, you get the facts. Based on uniquely valuable information gleaned from twenty-five years of writing and working with hundreds of writers, artists, screenwriters, agents, producers, directors, managers and publishers, I promise this program will take you on an exciting journey. It's a frank and thorough road map to success. You will learn how to write fast and well and easily - in fact, probably faster and better than you ever thought possible! Even if you're a professional, this system contains information that will simply blow you away! You'll wonder why writing ever seemed so hard. I guarantee it! Never before on the Net have so many tips, tricks and secrets been laid bare. If you aspire to be a published author or just want to finish your first novel, there is simply no other system for writing that you need. CLICK HERE to read more about this system, Order and Download your copy now! Brunei Shell Petroleum Sdn Bhd (BSP) yesterday handed over $8,000 in sponsorship to the Language and Literature Bureau (DBP) at Balai Sarmayuda. On hand to present the sponsorship was BSP Foreign Affairs Advisor Hajah Masni binti Haji Munir to DBP Director Dr Mataim bin Haji Bakar. The contribution will be used for the prizes of Kreatif Bahana, an annual project organised by the bureau since its inception in 1995. The committee for Kreatif Bahana has compiled some 47 short stories, 312 poetries and 16 traditional poetries (syair and pantun). All these creative items will be assessed by a panel and the winner will receive a cash prize and a plaque, sponsored by BSP. Among the objectives of the competition is to upgrade the quality of local literary work by local writers. Other contributions from BSP include a mobile library in Kuala Belait and a reference room at the Kampong Pandan library, in line with the company's goal to promote a reading culture and ICT among the youth. Can You Imagine Article Writing That Is Fast, Fun and Stress-Free? If you want to write the most interesting articles in the fastest way possible, Article-A-Day Easy System will show you how to do that and more. This brand easy system features the exact same method I have developed and used for more than 20 years as a professional writer. Raising 2 children and owning a business didn't leave me much time to write. I needed to write fast…but I had to produce quality articles. That's when I developed the Article-A-Day Easy System. It works for me and it will work for you, too. I've had hundreds of articles published online and in major magazines and newspapers like Family Circle, Woman's Day, American Baby, Income Opportunities, The New York Times and Newsday. I've also adapted this system to write a book and 3 e-books. Kita sebagai penulis berasa bertuah dengan penerbitan antologi puisi Kembara Merdeka, Dua Dekad Meniti Usia dengan tema Patriotisme Teras Keteguhan Negara iaitu tema Hari Kebangsaan Negara Brunei Darussalam Ke-20 yang telah diterbitkan lebih kurang lima tahun yang lepas (2004). Antologi ini memuatkan 91 buah puisi daripada 62 orang penulis tanah air seperti A.Hashim Hamid, A. Mahad, Abdullah Tahir, Adi Rumi, Adi Zaky, Aminah Haji Momin, Badaruddin H.O, Brahim A.H.T, Haji Mariat bin Haji Abdullah, Mahmudamit, pengiranmetassan@yahoo.com, Shukri Zain, PH Muhammad Abdul Aziz dan lain-lain penulis yang tidak dapat disebutkan di sini. The prize presentation ceremony for the various competition programmes of the 2008 Knowledge Convention, in conjunction with His Majesty the Sultan and Yang Di-Pertuan of Brunei Darussalam's 62nd birthday celebration, was held yesterday at the International Convention Centre in Berakas. Present as the guest of honour at the event was Awang Haji Abdul Aziz bin OKML Haji Mohd Yusof, Deputy Permanent Secretary at the Prime Minister's Office, who also presented prizes to the winners. In his welcoming address, Dr Mataim bin Bakar, Director of the Language and Literature Bureau, said that the number of people participating in additional competitions have been encouraging over the years. He also said that the competition saw more seasoned writers putting up a tougher fight against stiff opposition from the fresh writers. Before the results of the competitions were announced, Dr Mataim also summarised some of the findings made by the judges from various competitions. Ruangan Sastera Dalam Akhbar Tempatan Perlu Diisi Oleh Penulis Kita. Setakat ini hanya akhbar harian Media Permata dan akhbar rasmi Pelita Brunei sahaja yang ada menyediakan ruangan bagi penulis sastera kita menyalurkan bahan karya mereka dalam penerbitan. Walaupun ruangan tersebut tidak begitu menyerlah dan mampu menarik ramai di kalangan penulis kita untuk memberi sumbangan, akan tetapi sekurang-kurangnya ia adalah sangat bermakna dalam memberi nafas baru kepada kerancakan aktiviti bersastera di negara ini.